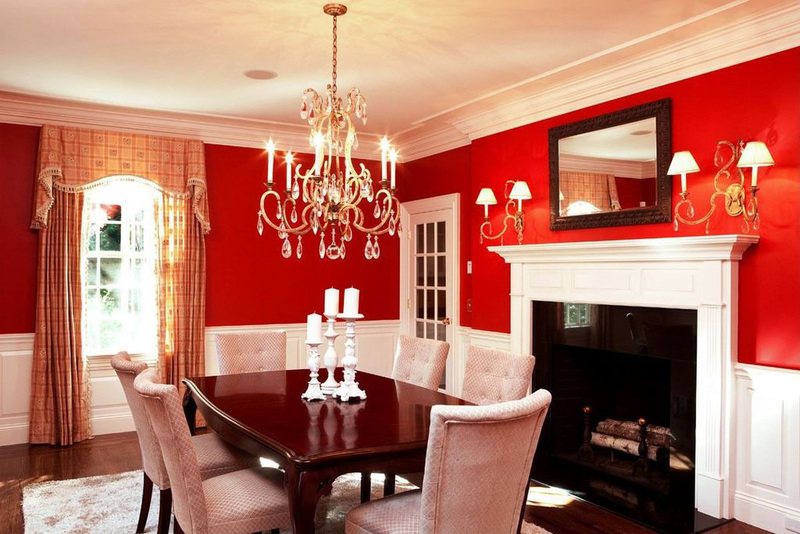 Imagine you’re eating in a fire-red dining room. 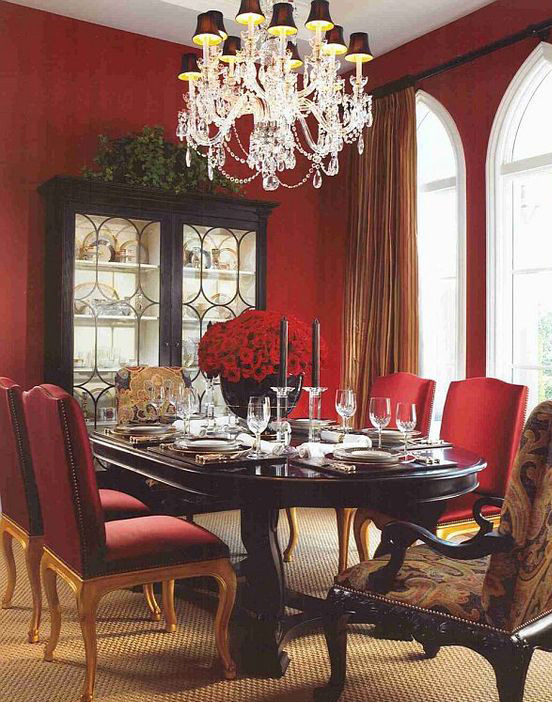 What an inviting and daring table… Don’t you think it’s a bold move to use the most powerful red color in the dining room? 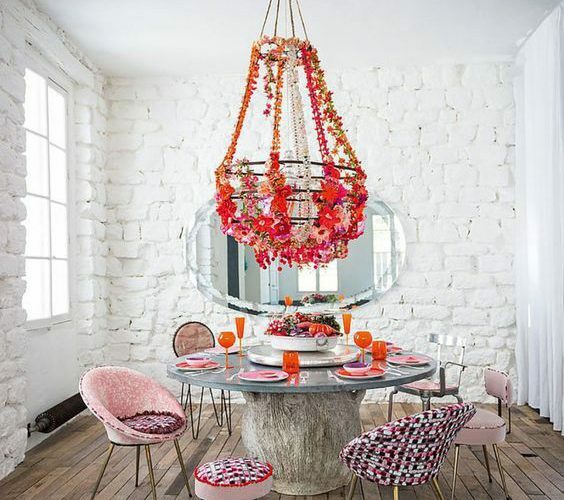 But such a decorated dining room brings a very different and creative idea to our minds. 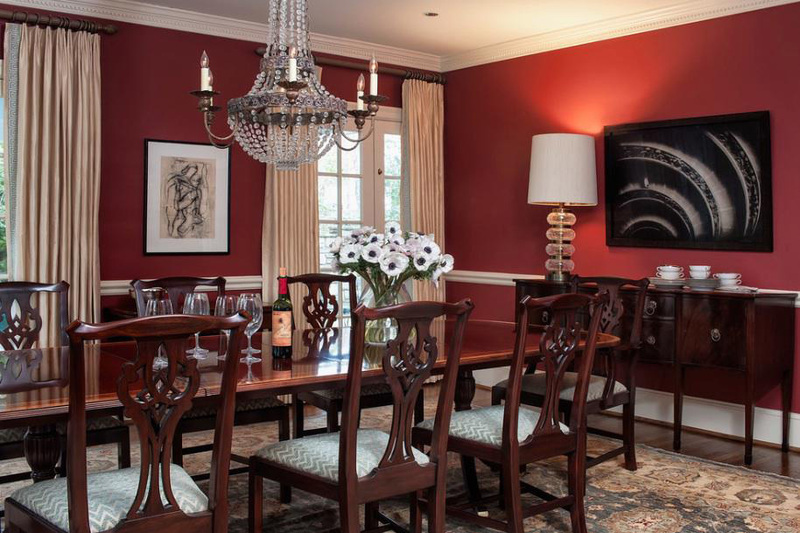 You can balance a dominant color like red with white. 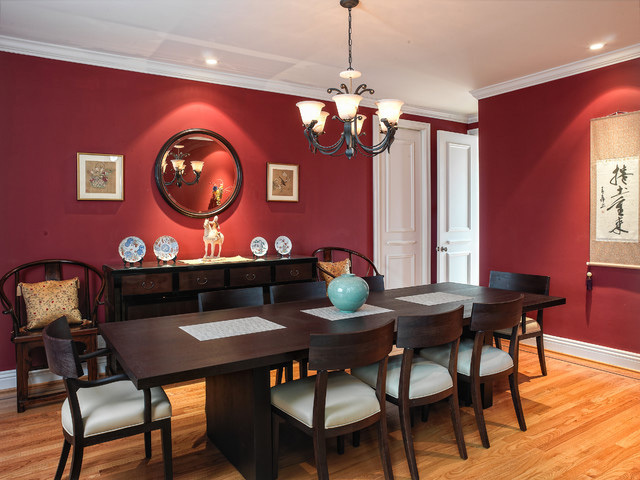 A simple yet powerful dining room that is free from unnecessary accessory use and free from complex patterns… You can get a perfect fit with the help of white panels by painting your walls red. 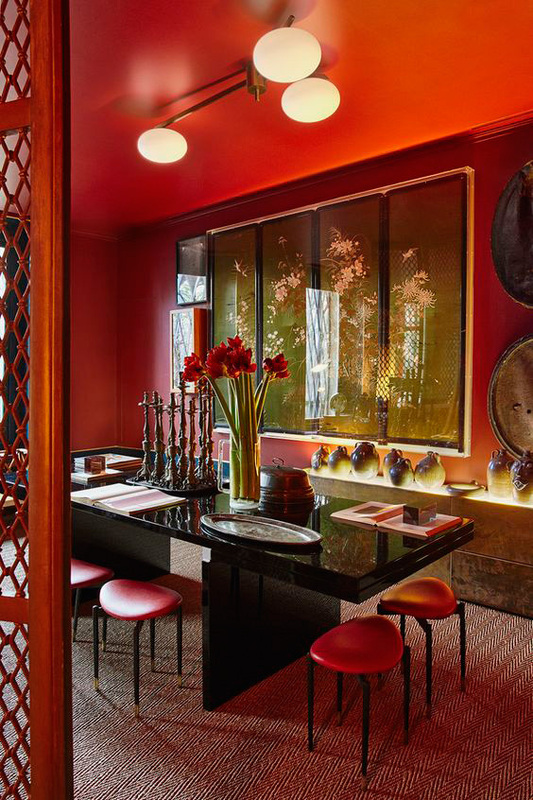 Red and wood are two elements that always adapt to each other. 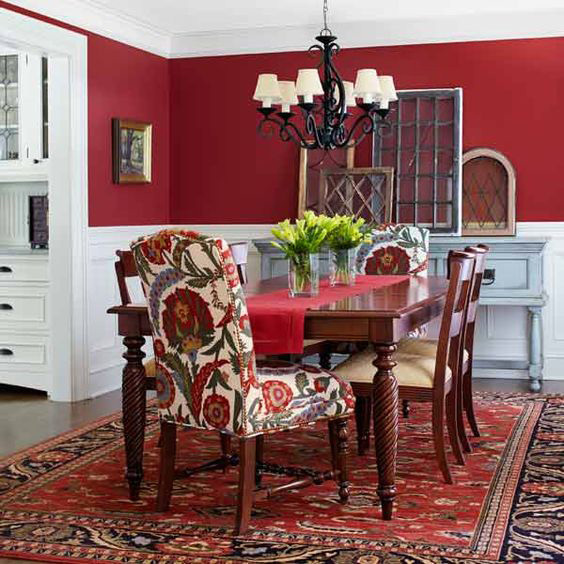 You can spread the dominant red color in your dining room using a wooden table. 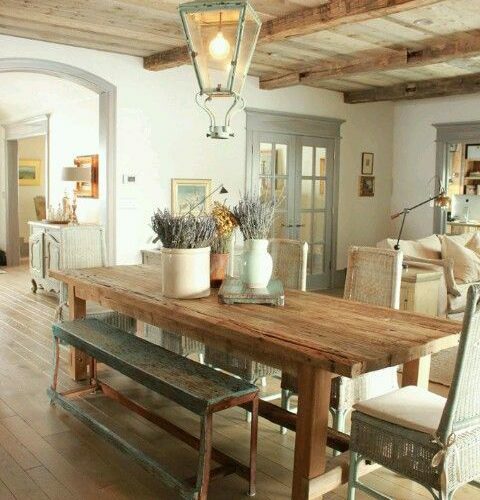 You can also use the wood in your chairs to ensure continuity. 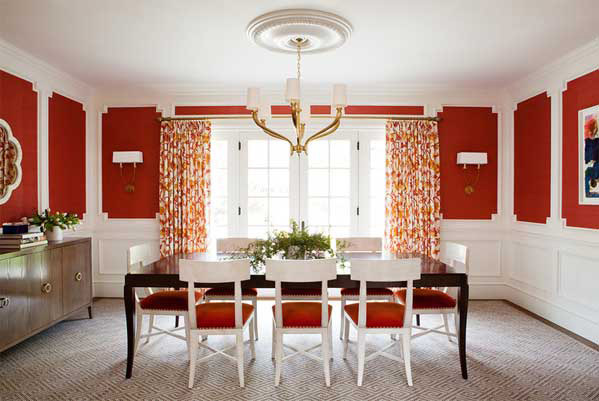 If you want your chairs to be different, you can do so using white wood and red coated chairs. 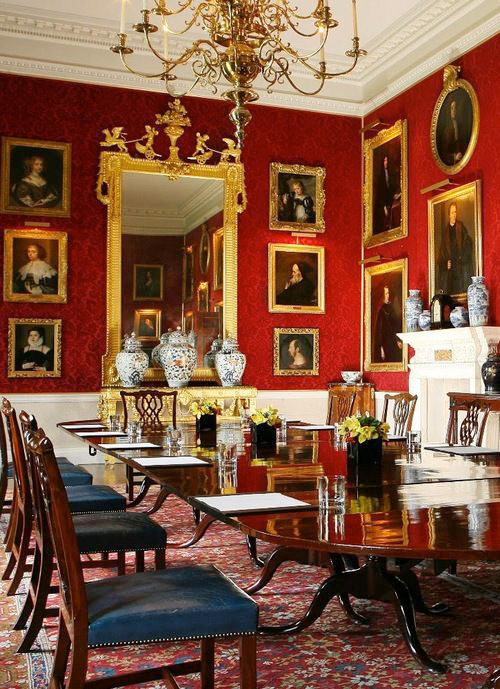 Lighting preferences are also very important in the fire red dining rooms. 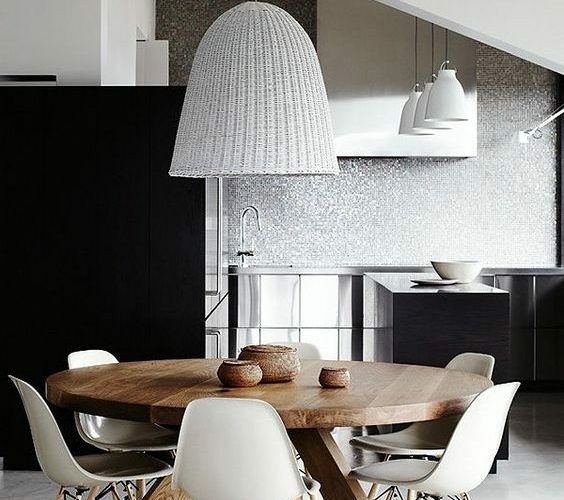 You can choose the chandelier or spot lights that are well-lit in the room and are compatible with the general ambience. 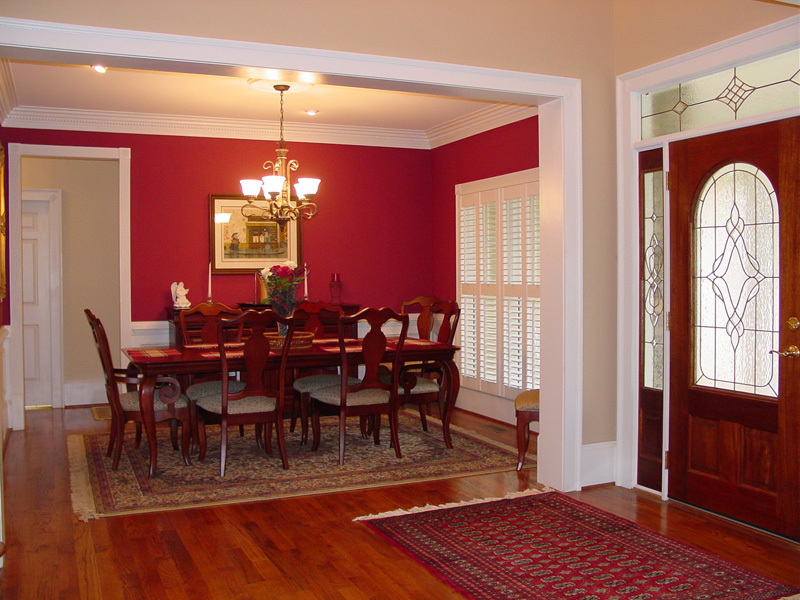 We recommend that you make simple and unpatterned selections in floor coverings or carpets. 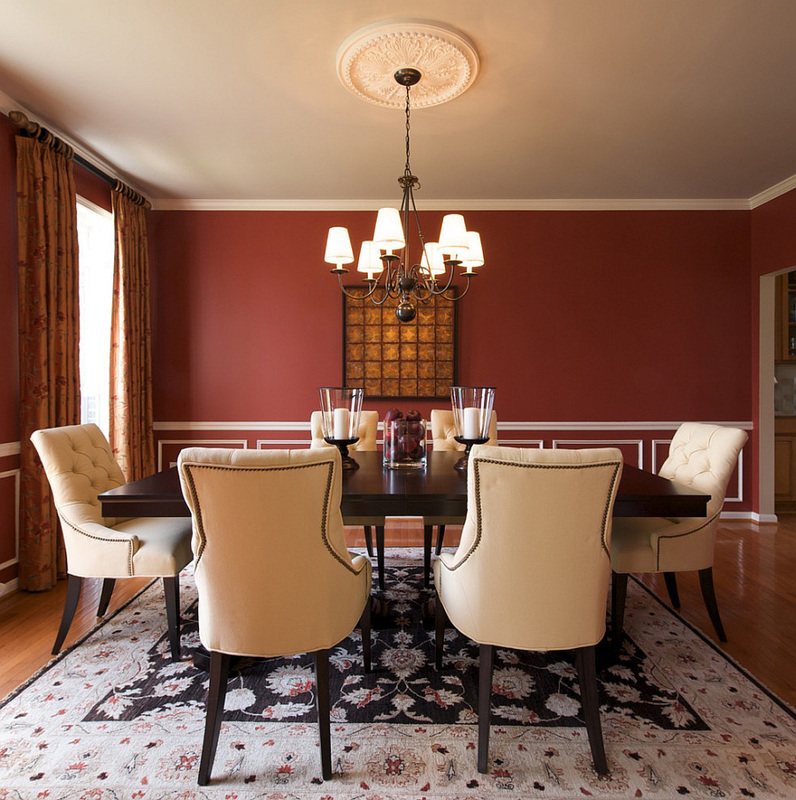 The cream and brown patterned carpets can be ideal for these dining rooms. 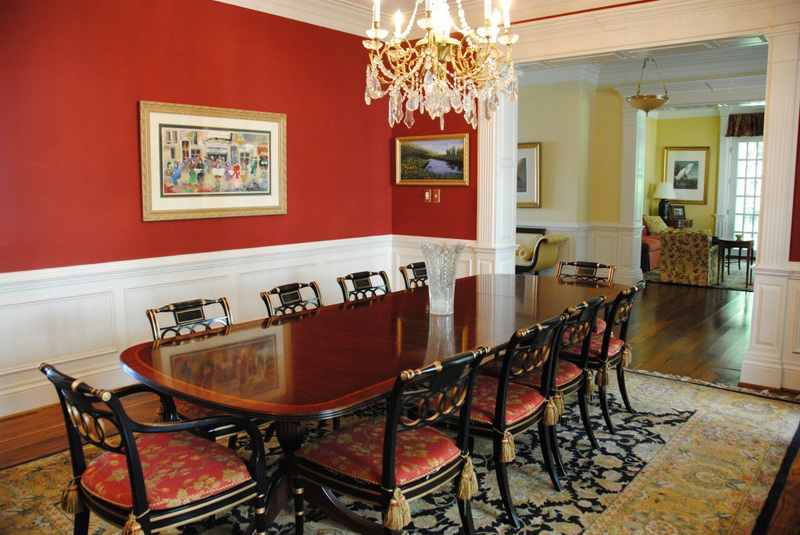 Especially when choosing the color and pattern of the carpet should be noted that the room does not show crowded and complex.